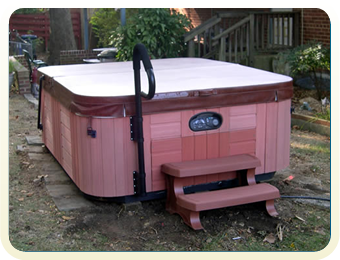 Your hot tub can sit on a variety of different bases. If you don’t have a base available, we can provide the base for you! 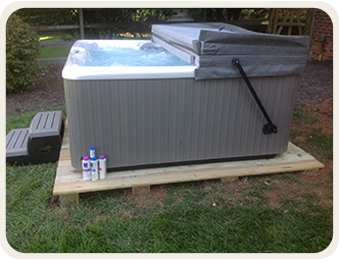 We make it easy to get a hot tub in your backyard! 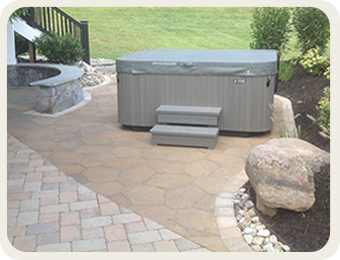 Your existing patio can be the perfect base for your hot tub. 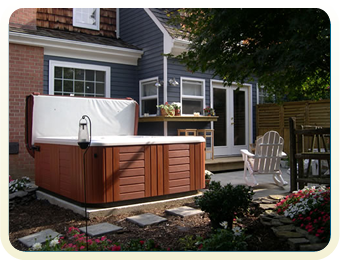 Your deck may not be suited to hold the weight of a hot tub. 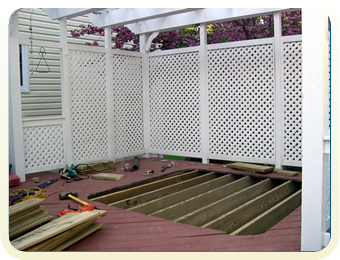 If this is the case, we can arrange to have your deck reinforced. We fill, form and pour a level, reinforced concrete pad in your back yard. If your installation calls for a concrete slab, we can do it! The simple 6×6, but with a deck included. The 6 x 6 service is the simplest base that we build. To do this we sink landscaping timbers into the ground to make a level base for the spa.